Shop Pinterest-Worthy Kitchenware From Oye Kitchen In HSR At Less Than INR 1,000! HSR’s Oye Kitchen is a one-stop shop for all your kitchen needs! From cooking and bakeware to dining and storage organisers, they’ve got it all. As soon as we entered Oye Kitchen in HSR Layout, we wanted to own everything. 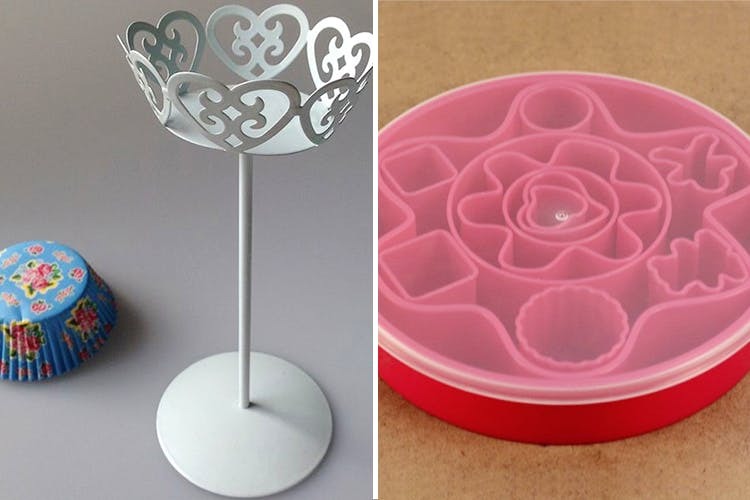 From the adorable pastel coloured bakeware like cupcake trays, pie moulds, cake batter dispensers, pastry pens, and cupcake stands to food preparation tools like choppers, slicer, juicers, strainers, measuring cups and so much more, they’ve got everything you could possibly need, in cute, Pinterest-worthy designs. HSR Layout too far? They’ve got plenty on their online store too! The website is well organised so you’ll definitely find anything you need there. We’re crushing on the cake display trays and colourful storage boxes. But we still suggest you go to the store, because we saw a lot of stuff in the store that we can’t find online. If you’re wondering how expensive they are, they aren’t! Almost everything on the store is under INR 1,000!